If you have not been out throwing poppers and other plugs the past few nights you have been missing out. 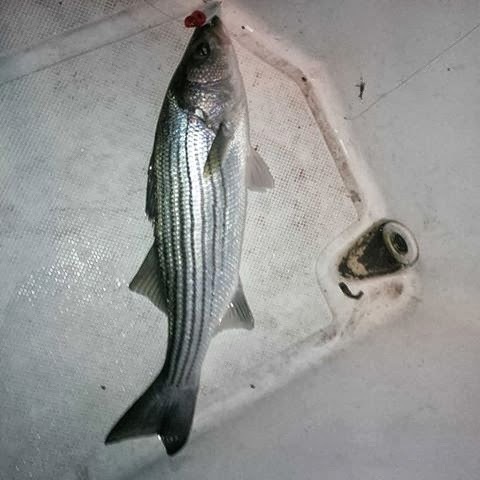 The reports of stripers in the evenings are very good with the perfect tide just be for the full moon and after a Nor-ester. This picture is from of Tom P who had 3. 2 on poppers and one on a rattle trap. 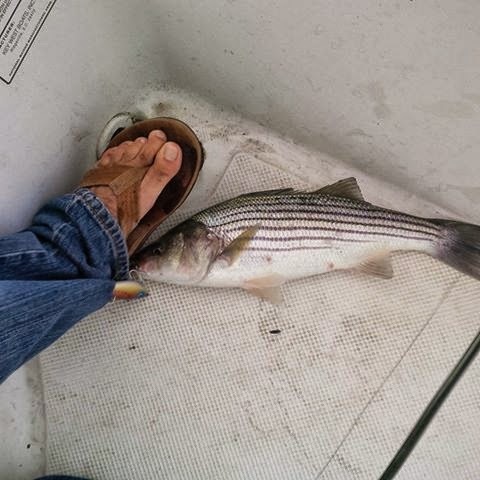 With the good tide the bite should continue in the bay. The fish should also be biting around the lights over the upcoming week. I will keep you posted but you haft to go fishing to catch them.